In Wisconsin, Frederick Bennett went to investigate what prompted his dog, Hugo, to start barking. 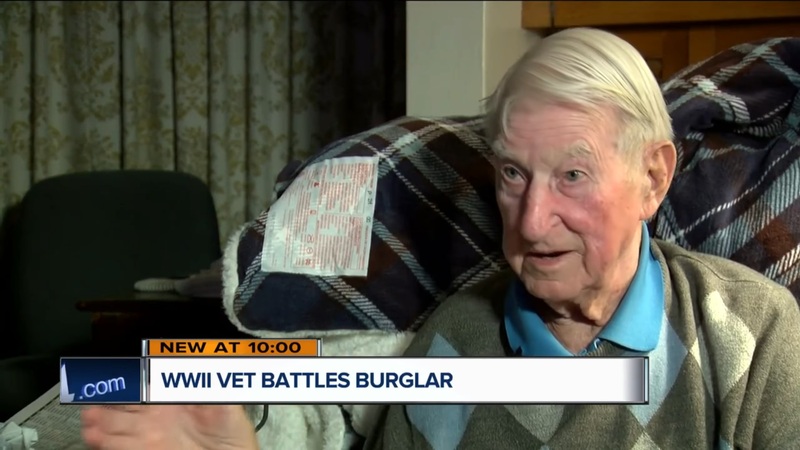 The 95 year-old Marine Corps veteran, who served in the Pacific Theater during WW2, decided that his Chihuahua wouldn’t be putting up a fuss without any cause, so he went from his spot in the living room to the back door. 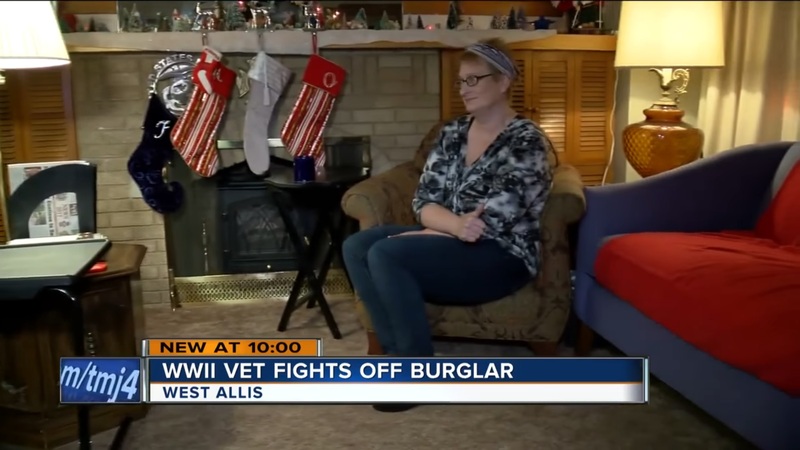 When he opened it up, he was “nose to nose” with a would-be intruder. Before we end at the inevitable conclusion here, I’ll take bets on whether it’s a smart idea to threaten to kill a Marine and his loyal dog to his face. So, Frederick, telling media later that he “wasn’t scared,” but that he was “so damn mad” that he grabbed the intruder by his collar and pants and wrestled him to the ground, yelling for the help of his 51 year-old daughter Mary Bennett. Mary said that Wells had taken her father’s wallet before running away, but Mary, despite being barefoot, ran right after him through 12 yards and over 2 fences. Gary Wells had caught his leg on a fence and police arrived to arrest the man on a charge of felony burglary. Mary said that she herself just acted on “reflexes” that had “rubbed off” from her father, who also worked as a firefighter. Both suffered only a few cuts and bruises. “Once a Marine, always a Marine” used to be a saying, but has been promoted to the official motto of the United States Marine Corp. From Frederick Bennett to Col. Powers, there aren’t many cases where that saying doesn’t hold true.